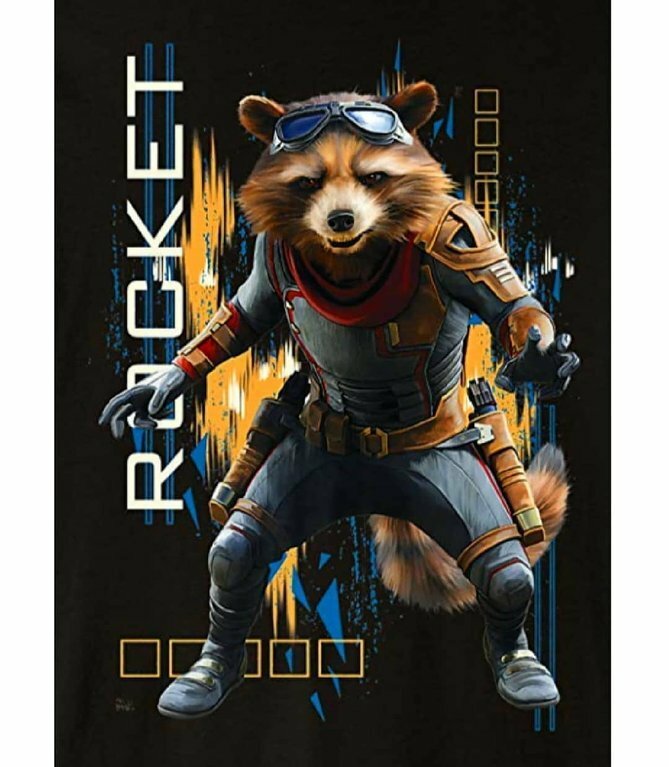 As the release of Avengers: Endgame looms closer, the internet has yielded one more piece of promo art that offers perhaps our best look yet at Rocket’s latest design. While the Guardians of the Galaxy star hasn’t been given a huge amount of screen time in the various promotional footage for this month’s release, the TV spot that aired during the Super Bowl back in February at least offered a fleeting glimpse at the raccoon’s new outfit. That being said, the newly shared image that surfaced on Reddit displays the suit in much better detail, complete with goggles and a pair of weapons hanging from his belt. Though pretty much the entire Marvel universe has a reason to bear a grudge against Thanos these days, Rocket got it particularly bad in last year’s Avengers: Infinity War when almost all of his friends were killed in the snap. To make matters worse, the hero has yet to learn what happened to most of his Guardians of the Galaxy co-stars, meaning that he may end up hearing the devastating news in Endgame. In the meantime, Bradley Cooper’s character has a new set of peers that he’ll be getting to know better in the upcoming flick. The Rocket and Thor duo from Infinity War was one of the film’s most popular pairings, and some leaked promo art from last year seems to indicate that the the two of them will be collaborating once more. Meanwhile, last month’s trailer has got fans hyped to see Rocket and War Machine working together, and last week’s preview showed the Guardian flying a ship with Captain Marvel riding shotgun. But while it’s nice that Rocket is making new friends, we’ll see if he manages to reunite with his late colleagues when Avengers: Endgame hits theaters on April 26th.